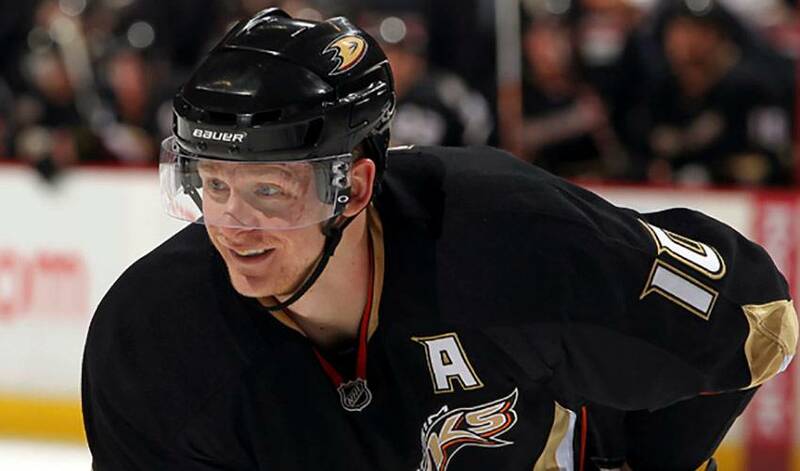 It's by no means a stretch to say that Corey Perry has all his Ducks in a row in 2010-11. While American college basketball dominated much of the spotlight last month, Perry, Anaheim's offensive star forward, created March madness of his own. The 25-year-old netted 15 goals in March, including four game-winning tallies. Most importantly, though, Perry's eye-popping numbers helped propel the Ducks into a playoff position in the hotly-contested Western Conference. Yet even Perry is at a loss to explain his statistical explosion. Anaheim would certainly like to see Perry maintain his hot play. The 2007 Stanley Cup champions missed out on the post-season in 2009-10, a year in which they finished fourth in the Pacific Division. And while there were question marks surrounding a return to the top eight in 2010-11, Perry and his teammates have shown they have the talent to be considered a legitimate threat for the West crown. Perry's looking forward to seeing how the rest of the regular season drama unfolds. “It's going to be a lot of excitement,” said Perry, who captured a Memorial Cup with the London Knights and a gold medal with Team Canada at the World Junior Championships during his major junior career. Perry's teammates and opponents, however, do know what they can expect when the right-winger takes a shift. But the player who scored a junior career high 130 points in 60 games during his final season with the London Knights isn't focusing his energies on winning the Maurice ‘Rocket' Richard trophy as the league's top goal scorer. Perry also points to ageless future Hall of famer Teemu Selanne as an ideal role model, both on and off the ice. Getting the man known as the ‘Finnish Flash' back for next year and perhaps beyond is a top priority for both Perry and his teammates. “It's just the way he trains himself off the ice,” said Perry, of the one part of Selanne's approach he's tried to emulate. “Just watching him over the past six years has been enough for me. You know, he comes in every day with a smile on his face. He loves the game, and the way he works in practice is truly amazing at 40 years old. For Perry, one of the most gratifying aspects of the Ducks' season is how they overcame an unflattering beginning to 2010-11 and turned it around. It also helps when you have one of the game's most high-profile scorers at the top of his game. Perry, who won the Shootout Elimination Challenge at the 2011 All-Star Game SuperSkills Competition, just wants the good times to keep rolling. Which is why Corey Perry, at least when he's on the ice, doesn't mind seeing red.